Enjoy the top 2 famous quotes, sayings and quotations by David McKoy. “Mac knocks on the door. After he updates Spider, he asks, "Do you have your weapon with you?" 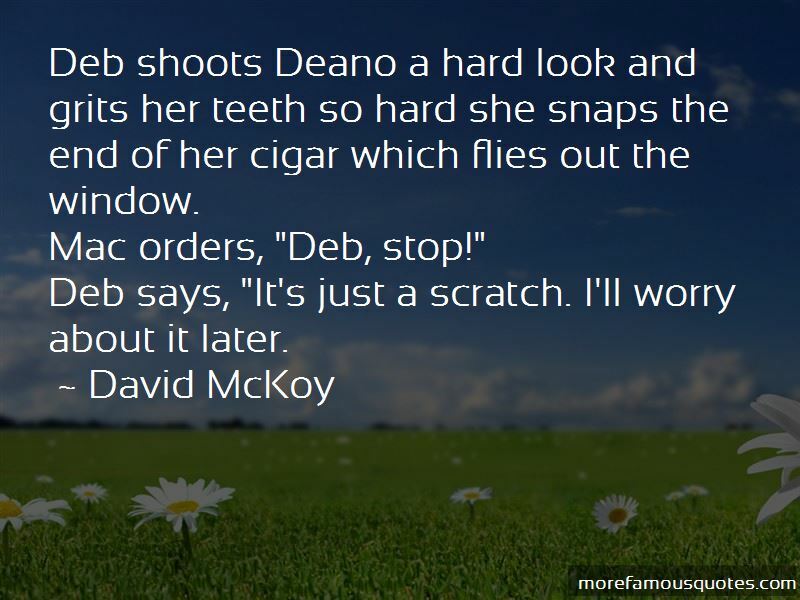 Deb shoots Deano a hard look and grits her teeth so hard she snaps the end of her cigar which flies out the window. Deb says, "It's just a scratch. I'll worry about it later. 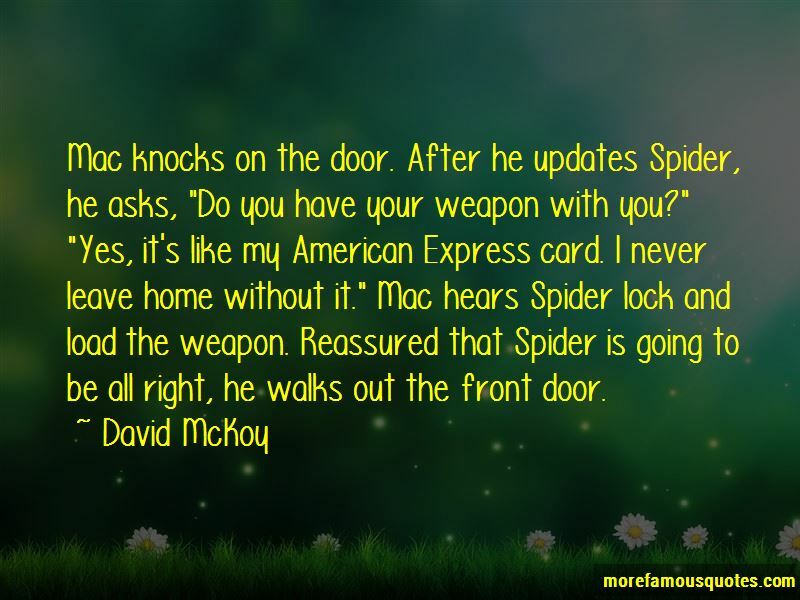 Want to see more pictures of David McKoy quotes? Click on image of David McKoy quotes to view full size.